At The Woman’s Health Pavilion, our Westbury location offers a comprehensive range of OB-GYN services for residents of Hicksville and surrounding areas. Our large team of experienced doctors and clinical support staff is dedicated to providing quality care with a human touch. With providers on staff who are fluent in both English and Spanish, we make receiving exceptional care easier for our Long Island patients. To meet with a women’s health specialist in Westbury, request an appointment using our online form or by calling (516) 333-1444. We offer same- or next-day appointments for urgent conditions, and can see you both on evenings and on Saturdays. 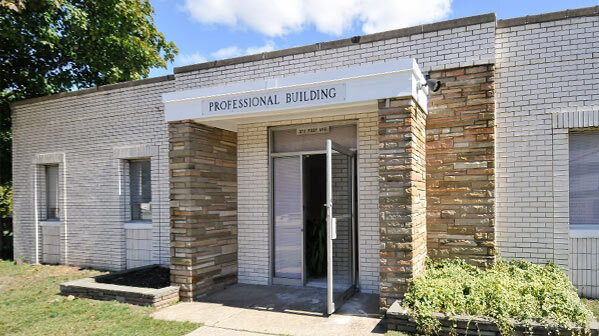 Our Westbury location is just minutes from Hicksville and offers convenient access from both the Northern State Parkway and Jericho Turnpike. We are located on Post Avenue, just south of the Northern State Parkway, near Westbury Middle School. We are pleased to provide a complete range of women’s health services including well-woman check-ups, maternity care, and gynecology services. We even have an onsite lab, pathologist, and 4-D ultrasound capability on-site. The Woman’s Health Pavilion is proudly affiliated with the Northwell Health System. Take Northern State Parkway westbound to exit 32, Post Avenue. At the end of the exit ramp, turn left onto Post Avenue. Our office will be visible on the left side (the east side of Post Avenue) 100 yards south of the Northern State Parkway. Make a left onto Rockland street to enter the parking lot. Proceed north on the Wantagh State Parkway, continuing onto the Northern State Parkway westbound. Take the Northern State Parkway westbound to exit 32, Post Avenue. Our office will be visible on the left (east) side of Post Avenue just after exiting the Northern State Parkway. Make a left onto Rockland street to enter the parking lot.